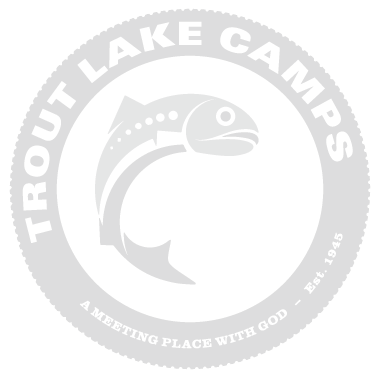 Not all Christian camps operate year-round but Trout does. Be in the know about upcoming events. And if you have questions about specifics, contact us. See you at the next big Trout event. Help Trout prepare for summer ministry by cleaning, organizing and building with whatever skills you have. Our Serve Team volunteers have always been a crucial foundation to the work at Trout Lake Camps. For more information contact Trout at 218.543.4565. This discipleship retreat is offered by Converge North Central and the Evangelical Free Church. It is designed for students in grades 6-12. This year the retreat takes place in April. Lodging is offered at local Duluth hotels. This is a high impact retreat that your students won’t want to miss. This wonderful NO AGENDA get-away at Trout Lake Camps, underwritten by Staff of the Pastor, is designed for busy pastors and their spouses. Escape for a few days of rest and relaxation. Sit by the fire, sleep in, read a book, take a romantic walk with your sweetheart on the snow-covered trails, and meet with God in the stillness of the north woods. Arrive after 1pm and dinner will be served at 5:30pm. Enjoy relaxation, refocusing, research and reflection by the fire. This retreat is created to encourage and help pastors and staff prepare for their year of ministry. The cost for the week is $125 per person. Contact the Trout office for more information. Registration will open at the end of September. 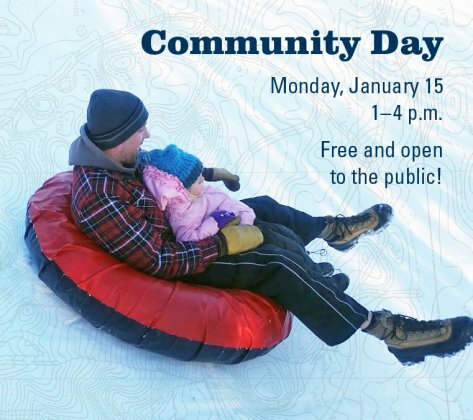 Monday, January 15 | 1–4 p.m.
Trout Lake Camps invites you to join us for an afternoon of fun! Enjoy sliding down the tubing hill or scaling the two-story, indoor rock climbing wall. This event is free and open to the public. Interested? No need to RSVP, just show up! *Follow posted signs as you approach camp. Our staff will greet you and direct you. 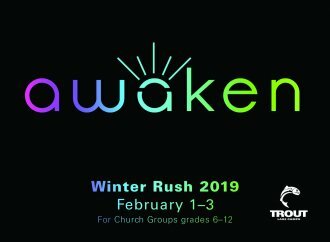 A chance for junior high and high school youth groups to bring friends, hear the gospel and connect over a fall weekend. For more information click here. A chance for senior high youth groups to bring friends, hear the gospel and connect over a fall weekend. For more information click here. Far too often it is hard to quiet the noise around us. Join us for personal and group prayer, worship and guided reflection. If you would like specific details regarding the retreat, contact Mandy at mJohnson@ConvergeNorthCentral.org. 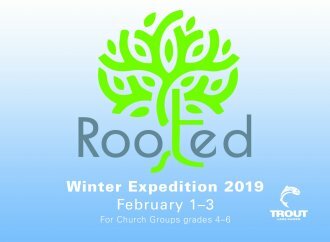 A chance for junior high youth groups to bring friends, hear the gospel and connect over a fall weekend. For more information click here. Help Trout prepare for summer ministry by cleaning, organizing and building with whatever skills you have. Our Serve Team volunteers have always been a cruicial foundation to the work at Trout Lake. For more information contact Trout at 218.543.4565. Download the confirmation (click here). How many times have you thought – I need to spend more time with my daugher...just the two of us for a weekend? 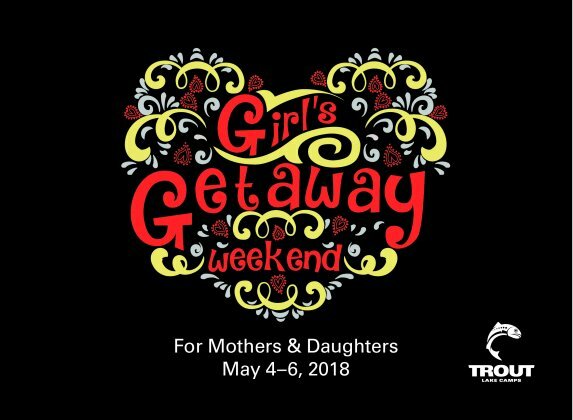 Girls Getaway is for a mother or grandmother to bring their young girls to Trout. You will laugh together, have warm conversations around the fire and also have fun together. This weekend is about strengthening your relationship with your daughter or granddaughter and growing closer to God. 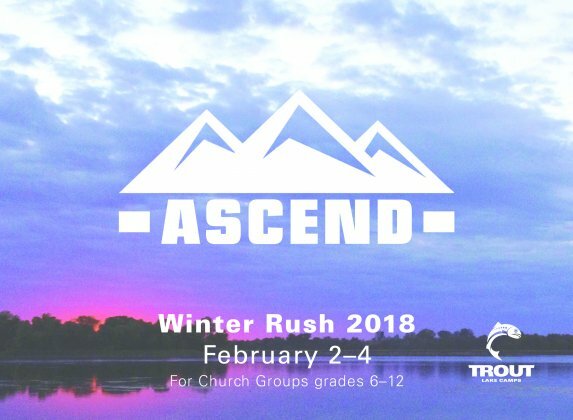 Highlights include: dinner party, fun chapel times, crafts, special spa time, zip line, lazer tag, climbing wall, a main speaker who will talk about what it means to be a Godly girl and more. Help Trout prepare for summer ministry by cleaning, organizing and building with whatever skills you have. Our SERVteam volunteers have always been a crucial foundation to the work at Trout Lake Camps. For more information contact Trout at 218.543.4565. This discipleship retreat is offered by Converge North Central and the Evangelical Free Church. It is designed for students in grades 6-12. Lodging is offered at local Duluth hotels. This is a high impact retreat that your students won’t want to miss. There's no more important man in a boy's life than his dad, and no more important gift than time well spent together. Man camp is designed for fathers or grandfathers and sons that want to have an adventure while creating memories that will last a lifetime. This weekend is all about strengthening your relationship, ecnouraging your son, and growing closer to God together. Highlights include: cook out, chapel, archery, trap shooting, riflery, zip line, lazer tag, bonfire, a manhood ceremony and dad's time with the speaker to dive into what it means to raise up Godly boys. You support your church, let us support you. This admin retreat offers technical training, spiritual development and a chance to swap stories with other church support staff members. For more information contact Mandy at 651.633.0560 or mJohnson@ConvergeNorthCentral.org. Enjoy relaxation, refocusing, research and reflection by the fire. This retreat is created to encourage and help pastors and staff prepare for their year of ministry. The cost for the week is $120 per person. Contact the Trout office for more information. Register now (click here). Join us for a wonderful drive in a coach bus to the pristine grounds of Trout Lake Camps Pine River, Minnesota! We will enjoy a day of fun, laughter, great food, and meaningful conversations! You can relive those lifelong camp memories; tour The Castle, The Tree Forts and The Spork, the new dining hall at Wild Woods. Sing some camp songs, enjoy lunch at Stoneridge and hear about how God is working in a powerful way at Trout Lake Camps- A Meeting Place With God. This is a free event but registration is required. Space is limited. This is a great week to get away from the everyday craziness of ministry and focus on what's ahead. The program for this week is not scheduled and will allow you to do what you need to prepare for the rest of the school year. Contact Trout with questions 218.543.4565. Register now (click here). Far too often it is hard to quiet the noise around us. Join us for personal and group prayer, worship and guided reflection. If you would like specific details regarding the retreat, contact Mandy at mJohnson@convergenorthcentral.org. Register now (click here). Help Trout prepare for fall ministry by cleaning, organizing and building with whatever skills you have. Our ServTeam volunteers have always been a cruicial foundation to the work at Trout Lake. For more information contact Trout at 218.543.4565 or download details (click here). Help Trout prepare for summer ministry by cleaning, organizing and building with whatever skills you have. Our ServTeam volunteers have always been a cruicial foundation to the work at Trout Lake. For more information contact Trout at 218.543.4565. How many times have you thought – I need to spend more time with my daugher...just the two of us for a weekend? Girls Getaway is for a mother/grandmother to bring their young girls to Trout. You will laugh together, have warm conversations around the fire and also have fun together. This weekend is about strengthening your relationship with your young daughter or granddaughter and growing closer to God. 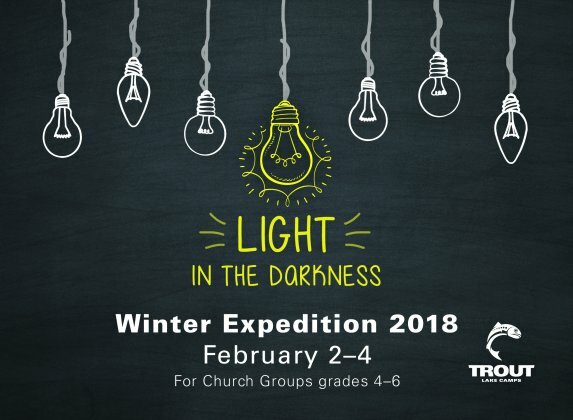 Highlights include: dinner party, fun chapel times, crafts, special spa time, zipline, lazer tag, climbing wall, a main speaker who will talk about what it means to be a Godly girl and more. Contact Trout for more information 218.543.4565. Patch together new memories with fellowship, laughter and finished sewing projects. Contact Trout for more information at 218.543.4565. 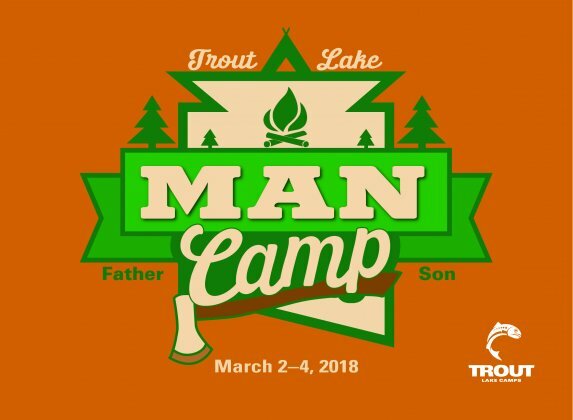 Highlights include: cook out, chapel, archery, trap shooting, riflery, zipline, lazer tag, bonfire, a manhood ceremony and dad's time with the speaker to dive into what it means to raise up Godly boys. You support your church, let us support you. This admin retreat offers technical training, spiritual development and a chance to swap stories with other church support staff members. For more information contact Mandy at 651.633.0560. Register now (click here). Arrive after 3pm and dinner will be served at 5:30pm. A time for busy students to unwind, connect with friends and kick-off the new year. Contact Tait, our program director, for more information. Alum register now (click here). Non-alum register now (click here). This discipleship retreat is offered by the Minnesota Iowa Baptist Conference and the Evangelical Free Church. It is designed for students in grades 6-12. This year the retreat takes place in April. Lodging is offered at local Rochester hotels. This is a high impact retreat that your students won’t want to miss. For more information (click here). It's going to be a blizzard of fun for grades five through six. Contact Tait, our program director, for more information. Help Trout prepare for winter ministry by cleaning, organizing and building with whatever skills you have. Our ServTeam volunteers have always been a cruicial foundation to the work at Trout Lake. A getaway for retired pastors, missionaries and their spouses, the week will include teaching, music and fellowship. For more information (click here). Far too often it is hard to quiet the noise around us. Join us for personal and group prayer, worship and guided reflection. For more information (click here). Help Trout prepare for sumer ministry by cleaning, organizing and building with whatever skills you have. Our ServTeam volunteers have always been a cruicial foundation to the work at Trout Lake. For more information (click here). This discipleship retreat is offered by the Minnesota Iowa Baptist Conference and the Evangelical Free Church. It is designed for students in grades 6-12. This year the retreat takes place in April. Lodging is offered at local Duluth hotels. This is a high impact retreat that your students won’t want to miss. For more information (click here). You are called to be an example in speech, in life, in love, in faith and in purity. A discipleship weekend for senior highers. For more information (click here). Patch together new memories with fellowship, laughter and finished sewing projects. For more information (click here). What does it mean to be called by God to a pure and adventurous life? A discipleship weekend for junior highers. For more information (click here). You support your church, let us support you. This admin retreat offers technical training, spiritual development and a chance to swap war stories with other church support staff members. For more information (click here). Unstructured time for MIBC ministry staff and thier spouces to recharge and reconnect. Scholorships are available for registration, travel and baby-sitting. For more information (click here). It's going to be a blizard of fun for grades five through six. For more information (click here). Enjoy the winter wonderland at Trout with fellowship, worship and Bible teaching in this retreat for retired adults. For more information (click here). Enjoy relaxation, refocusing, research and reflection by the fire. This retreat is created to encourage and help pastors and staff prepare for their year of ministry. For more information (click here). A time for busy students to unwind, connect with friends and kick-off the new year. For more information (click here). The purpose of this retreat is to quiet ourselves before God, seek God in prayer privately and together as a group. You will listen to God’s voice through His word and some guided reflection. Cost for retreat is $120. Register by clicking on the orange tab on the right side of the web page called "CAMP REGISTRATION". Contact Mandy for more information at 651.633.0560. The host for this retreat is TBD and the music will be lead by Randy Berg from Hastings. The cost for the retreat is free and for more information contact Lynn Sorbel at lmsorbel@aol.com. Roll up your sleeves and enjoy the great company of other retirees from around the state. We will paint, landscape, cleanup, build or repair whatever is needed at Trout. The host for this event is Mark and Kim Welty. Arrive Monday around 10am and come dressed in your work clothes. Program begins Monday with lunch at noon and ends with lunch on Thursday. Bring your tools, a snack to share, bedding, personal items and complete the health form located on the resources and forms page. There is no charge for this event but an offering will be taken for camp. If you want more information (click here). Contact Lynn at lmsorbel@aol.com for more information. This is a wonderful retreat for recently retired folks who appreciate great food, wonderful fellowship, worship time together and solid bible teaching. 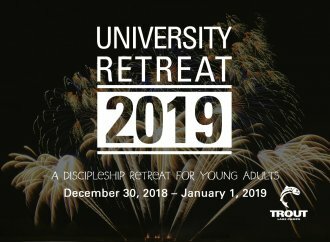 The cost for the retreat is $169. For more information contact lmsorbel@aol.com. This weekend is designed to train and equip our D-Team members. For more information contact TLC at 218-543-4565. The purpose of this retreat is to quiet ourselves before God, seek God in prayer privately and together as a group. You will listen to God’s voice through His word and some guided reflection by our facilitator. Cost is $120. Register by clicking on the orange tab on the right side of the web page called "CAMP REGISTRATION". Contact Mandy for more information at 651-633-0560. Did you know that Trout was built and maintained mostly by volunteers? Many able-bodied people come to SERVteam to help clean and prepare camp for summer time. We provide food/housing and you serve by working at Trout. It is great fellowship and great food. If you would like more information about this week download this file (click here). Did you know that Trout was built and maintained mostly by volunteers? Many able-bodied people come to SERVteam to help clean and prepare camp for summer time. We provide food/housing and you serve by working at Trout. It is great fellowship and great food. If you would like specific details about the week download this file (click here). Did you know that Trout was built and maintained mostly by volunteers? Many able-bodied people come to SERVteam to help clean and prepare camp for summer time. We provide food/housing and you serve by working at Trout. It is great fellowship and great food. This discipleship retreat is offered by the Minnesota Iowa Baptist Conference and the Evangelical Free Church. It is designed for students in grades 6-12. This year the retreat takes place in April. Lodging is offered at local Duluth hotels. This is a high impact retreat that your students won’t want to miss. Trout Lake is offering a quilting retreat where quilters stay in our Shalom House facility. They are able to focus on quilting and connect with others who share their enthusiasm for quilting while enjoying "home cooked meals" prepared by our experienced food service staff. Bring your own machine, supplies and project and we will provide the food and housing. This retreat is for you because it is all about getting it done. Join church professionals and volunteers for technical training, spiritual renewal and networking among other church support staff members. Questions contact Mandy at mJohnson@ConvergeMIBC.org. Cost is $75 per person. 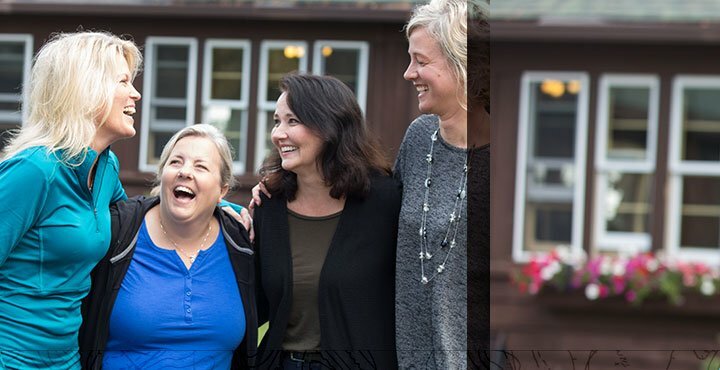 These retreats for women are a unique opportunity to be in the beautiful north woods and seek time alone with God. It is a time for refreshment - emotionally, physically and spiritually. There is no scheduled program and with the exception of meal time, silence is encouraged. Contact the MIBC for more information at 651-633-0560. Attend a wonderful getaway at Shalom House. There is almost no agenda during your time at Trout so come and get renewed. A majority of the cost is paid for by Staff of the Pastor and scholarships are available. Contact Rob for more information at 651-633-0560. This is a combination event, meaning activities for Route 66 folks (recent retirees) and a slower pace for Prime Timers (senior adults). This is a time to enjoy the quiet, snow covered grounds of Trout Lake Camps while staying at Shalom House. 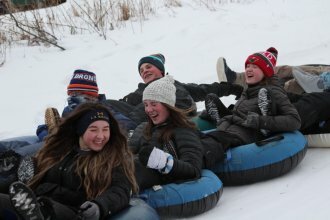 Tubing, cross country skiing, good music, great food and a fun theme. For more information contact Fred at 651-633-0560. This is a time for pastors and associates to get away from the busy church life and prepare future sermon series. This is a great time and place for staff planning sessions. Contact Trout for more information at 218-543-4565. Join us on June 16 at Stoneridge Dining Center as we commission our camp staff for the 2012 season and give thanks for this new facility. We will hear from donors and volunteers, take a tour and share a meal together. Arrive at 11am and we will eat around 11:45am. Register below and let others know of this special event. Enjoy a time of hanging out with other youth pastors and spouse. There is very little scheduled so relax. Contact Trout for more information at 218-543-4565. The hosts for this event are Roger and Jean Camerer. Arrive Monday morning around 10am and come dressed in your work clothes. Program begins Monday with lunch at noon and ends with lunch on Thursday. Bring your tools, a snack to share, bedding, personal items and complete the health form located on the resources and forms page. There is no charge for this event but an offering will be taken for camp. Download the brochure (click here). The purpose of this retreat is to quiet ourselves before God, seek God in prayer privately and together as a group. You will listen to God’s voice through His word and some guided reflection by our facilitator. Contact Mandy for more information at 651-633-0560. Our hosts for this event are Jim and Arlene Ledin. Arrive Monday morning around 10am and come dressed in your work clothes. Program begins Monday with lunch at noon and ends with lunch on Thursday. Bring your tools, a snack to share, bedding, personal items and complete the health form located on the resources and forms page. There is no charge for this event but an offering will be taken for camp. Contact Fred at 763.242.9198 or ftuma@convergemibc.org for more information. This discipleship retreat is offered by the Minnesota Iowa Baptist Conference and the Evangelical Free Church. It is designed for students in grades 6-12. This year the retreat takes place in April. Lodging is offered at local Rochester hotels. This is a high impact retreat that your students won’t want to miss. The hosts for this event are John and Shirley Dekkenga. Arrive Sunday afternoon around 3pm. The program officially begins with dinner at 5:30pm and ends with lunch on Thursday. Bring your work clothes, tools, a snack to share, bedding, personal items and complete the health form located on the resources and forms page. There is no change for this event but an offering will be taken for camp. Our hosts for this event are Chris Johnson and Joyce Passananti. Arrive Monday morning around 10am and come dressed in your work clothes. Program begins Monday with lunch at noon and ends with lunch on Thursday. Bring your tools, a snack to share, bedding, personal items and complete the health form located on the resources and forms page. There is no charge for this event but an offering will be taken for camp. Trout Lake is offering a quilting retreat with detailed instruction from a quilting expert. Quilters stay in our Shalom House facility where they are able to focus on quilting and connect with others who share their enthusiasm for quilting while enjoying "home cooked meals" prepared by our experienced food service staff. Bring you own machine, supplies and project and we will provide the food and housing. This retreat is for you because it is all about getting it done. Quilting Instructor: Arlene Fitzpatrick has been quilting and instructing for over 31 years. Currently Arlene is semi-retired which provides more time for her to share the joy of quilting with others and to machine quilt from her home in Brainerd. This retreat is designed for quilters of all skill levels. Come prepared to learn or improve your skills and relax with others. Cost is $145. For more information download the brochure (click here) or contact Trout for more information at 218-543-4565. Cost is $195. For more information download the brochure (click here) or contact Trout for more information at 218-543-4565. Quilting Instructor: Melissa Johnson is the owner of Seams Like Home Quilt Shop in Sturgen Lake. She has been a quilting instructor for years.